Could fibromyalgia be a progressive disease? Despite being one of the top condition that affects your muscles, joints and bones, medical professionals around the world do not classify the chronic disorder as “progressive.” However, fibromyalgia sufferers at different points in their journey believe their symptoms have worsened actually over the years. Whatever the cause, the fibromyalgia community is who is experiencing the symptoms firsthand. 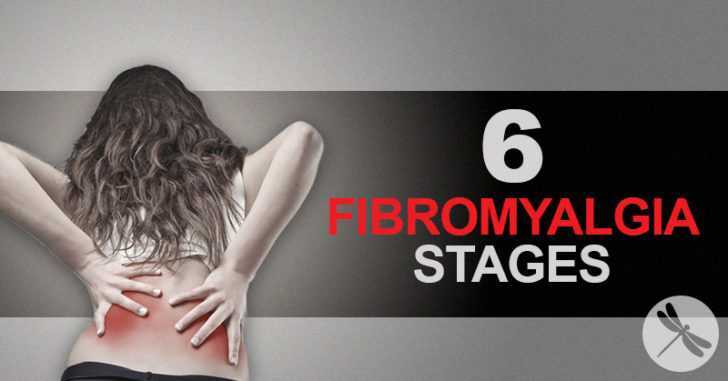 Overall, they have collectively arrived at so-called stages of fibromyalgia. Some believe there are less while others are convinced there’s more, but this list originally compiled by Angela Wise includes six. At first, it’s not so bad. The increased hypersensitivity and growing fatigue is something you can live with… for now. You start drinking chamomile tea to try and get better sleeps or use fragrance-free lotions to help soothe your hot skin. Sometimes those things help but, more often than not, they don’t. You have responsibilities and commitments so you push through the pain and fatigue. Point is, you know something about your body is different and changing and demands to be researched. Your pain and fatigue are becoming an everyday issue now. You’ve gone to your doctor for tests but to no avail. They brush it off as an age- or hormone-related issue and say it will pass. Your research suggests otherwise now that you’ve learned about fibromyalgia. Insomnia isn’t helping your struggle with fatigue and anxiety is starting to kick in – something you could deal with before. Slowly but surely, you begin to accept that what you believe is fibromyalgia is not going anywhere any time soon. You’re backing out of more and more events, family functions, and even hangouts with friends. Your joint pain and muscles aches make you cautious of physical contact with anything or anyone – other people are also starting to notice. Despite your job taking everything in you to show up, you’re still working through every shift. But, your lack of sleep and poor concentration is seriously affecting your performance. The worry of losing your job or not being able to provide for yourself (let alone your family) is leading to more anxiety and depression. If you still have a job, your missing more shifts than you’re working. The combination of physical and emotional pain and stress is debilitating. You spend the majority of each day in bed. Every now and then you will experience a miracle day – a window of time where fibromyalgia flare-ups are minimal or nonexistent. But, without fail, the inflammation, depression, fatigue (and more) come back. Your friends start planning outings without you and some family members are starting to resent you for never wanting to do anything. They just don’t understand what you’re experiencing… It’s during this stage that depression can really set it and last a long time if left unchecked. You’re exploring how to get started with permanent disability income and stories of other fibromyalgia sufferers being denied heightens your stress and anxiety. For years you’ve been a parent and now, all of a sudden, they’re grown up and you are the one in need of constant care. You still have dreams and passions but are just so tired and in too much physical and emotional pain to pursue anything. One upside is that fellow fibromyalgia sufferers can empathize with you and the community continues to be a great help. By this time, you have been either approved or denied for disability pension. You’ve been living with fibromyalgia for so long now, yet it’s something you never seem to get used to. The simplest daily tasks like getting dressed or brushing your teeth take an immense amount of effort. Any anti-inflammatory medications and other painkillers are doing more harm than good, band-aiding the situation and leaving you riddled with unwanted side effects. Your true friends and family members are incredible blessings but still, you feel like a burden. No specialist or medication seems to help. You’re at a loss at what to do. What Things Can Help Fibromyalgia Symptoms?